I think it’s about time we formally meet a few of the new Androids! 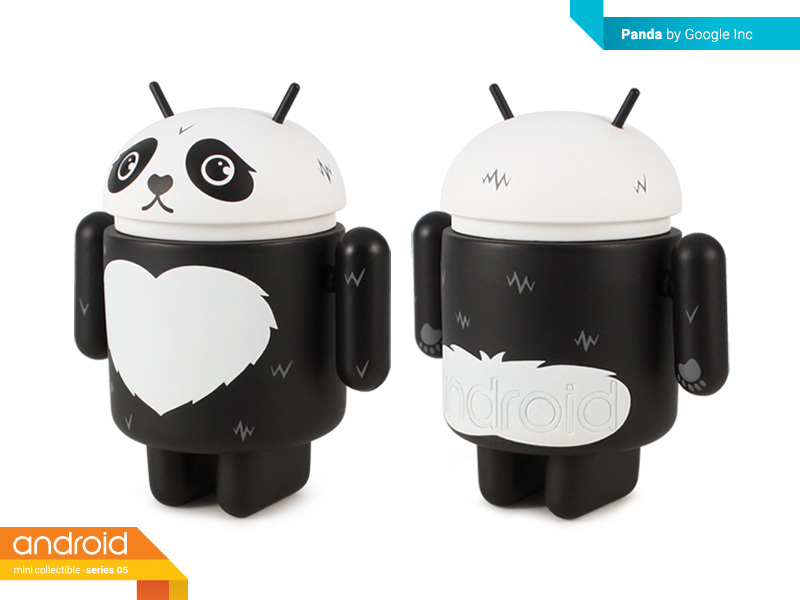 The fifth installment of our artist and designer series of Android mini collectibles will finally be arriving soon. Time time we’ve got some usual suspects including Andrew Bell, Gary Ham, Scott Tolleson and Kong Andri who are joined by our new friends Devilrobots, Reactor-88, Jon Paul Kaiser and Lunabee! Within the next few weeks, Series 05 will be arriving in toy, comic, specialty and online retailers across the world. We’ll be previewing some of the new designs here on a regular basis. 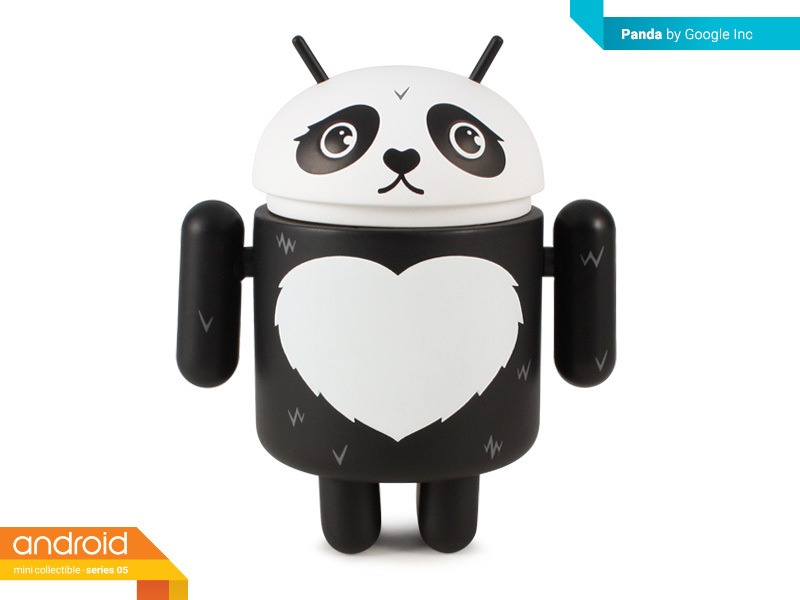 We’re kicking it off with this sadly adorable Panda from the fine folks at Google! Don’t worry, he’s far from endangered with a ratio of 2/16. A rare sight in nature, but easy to find in S05 at a 1/16 ratio is Gary Ham‘s Sk8 Cop! Sk8 Cop confiscates boards from no-good kids.. so he can ride them himself! 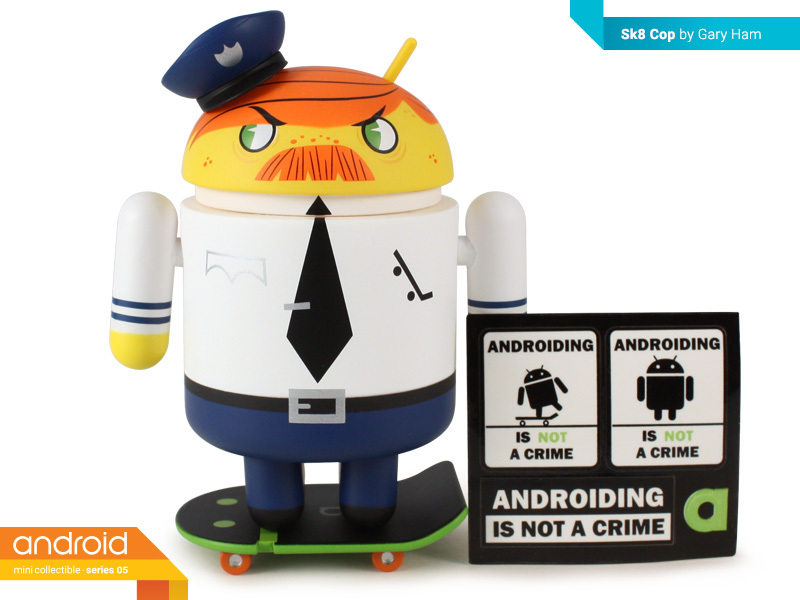 Comes complete with mini Android skateboard and a sheet of little stickers to slap on his board, his back, or his friends. Why a Sad Panda Google? What have you done to panda….? 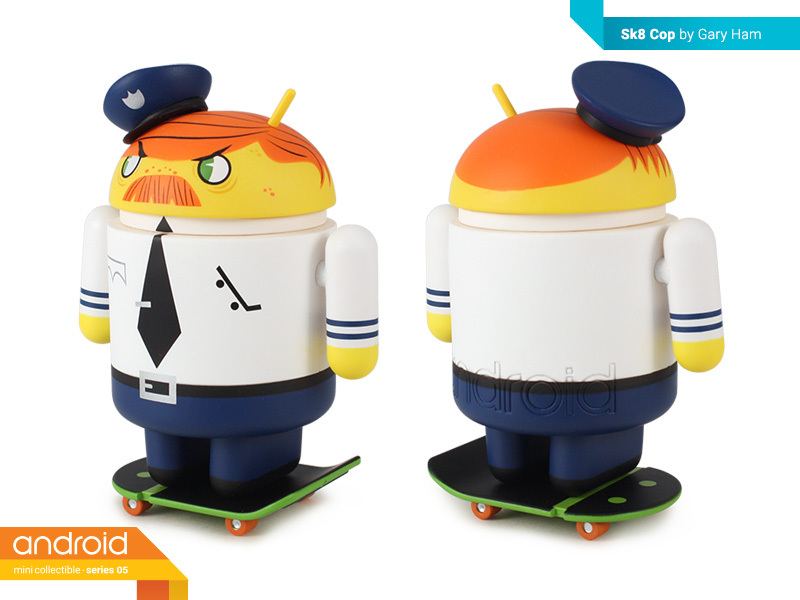 Zomg, it’s the Android Police. I decided that I’m doing a case this time. No more fooling around with these! plan on a few cases to get the complete set, many 3! There are usually 3 chase. One is super rare, like 1 in 4 cases in my history. You will also see 2 sets of cups per case, not one. Welcome to the chaos! Meant to say 2 sets of duplicates, not cups.